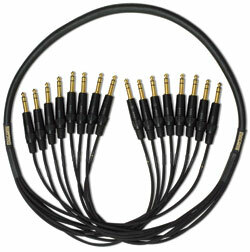 Mogami Gold TRS-TRS (5, 10, 15, 20 or 50 ft) Cables for Snake Box for Live or Studio Equipment. A perfect snake multi-core cable for your studio or live performances. Mogami snake cables are famous for neutral tone and noise-free background.